I recently bought a box set full of No. 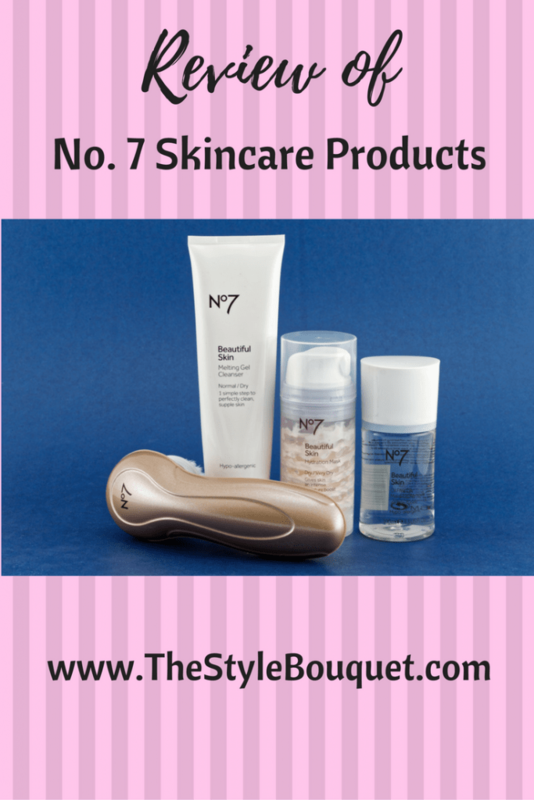 7 products. I didn’t know quite what to expect because I had never used their products before, but I had read good things. I am quite pleased with my purchase! The products are quite luxurious and feel great on my skin. The cleansers and mask leave my skin feeling fresh and ready for either makeup application or nighttime. 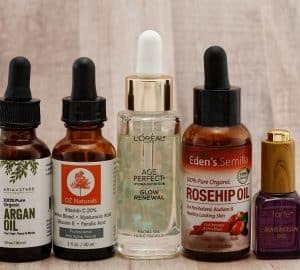 Below is a breakdown of each of product and my review of each. 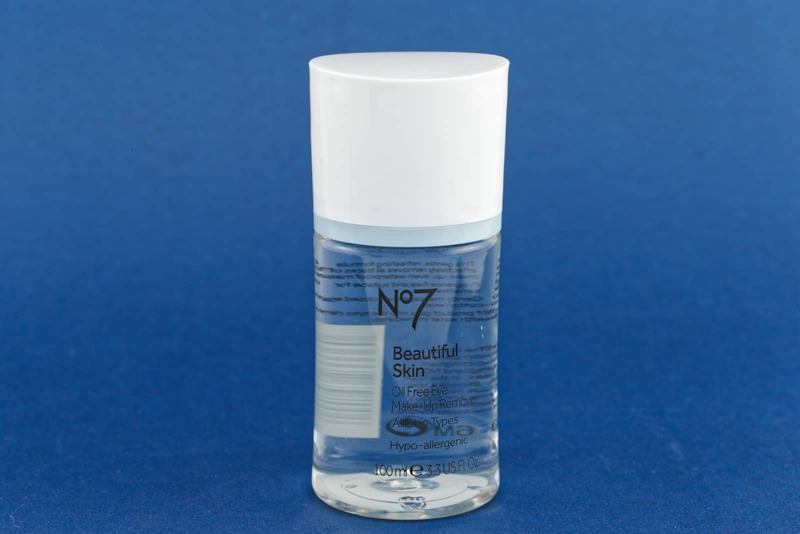 This eye makeup remover is a great product. It removes all traces of eye makeup from the eye area, including waterproof mascara. I wear waterproof mascara and it works wonderfully on my lashes by removing the mascara, but protecting my lashes from damage. The remover also contains a number of different vitamins and minerals such as antioxidants to protect the delicate eye area from environmental factors as well as premature aging. Just about everyone knows that the first step to beautiful skin is effective cleansing. 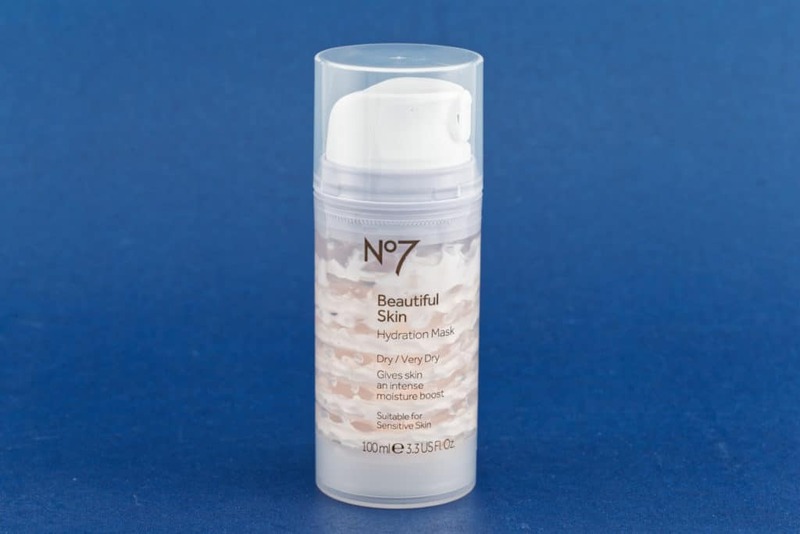 Specially designed to dissolve makeup and impurities, No. 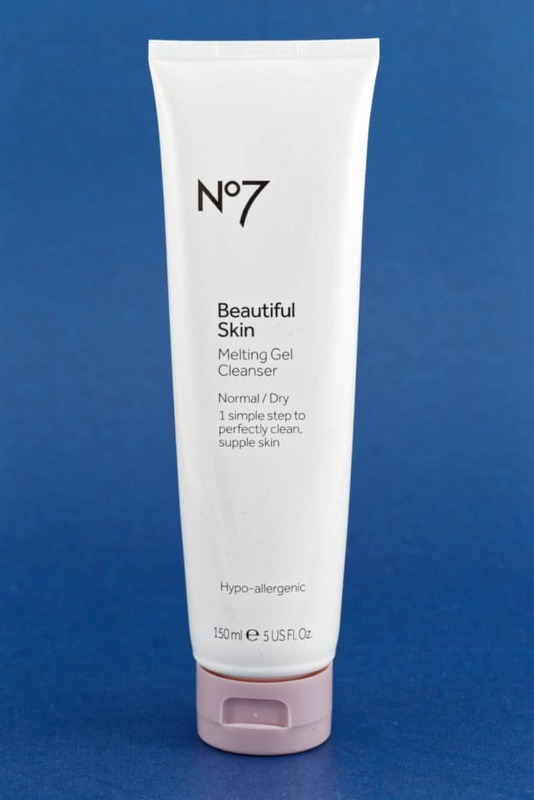 7 Beautiful Skin Melting Gel Cleanser leaves dry complexions feeling as soft and supple as normal skin. My face tends to be dry, especially in winter, so I can back up this claim that this cleanser has evened out my complexion to a more normal skin tone. The gel develops into a non-drying oil to protect the skin’s natural moisture levels and hydrate dry areas at the same time. It then changes into a light milk formula for easier rinsing, so skin is left residue-free and totally refreshed. Personally, my favorite part is that it’s enriched with rosehip oil (think Kate Middleton) to really lock in moisture. The spin brush is a game changer. It goes deep into pores and removes dirt and makeup. It is also the ultimate exfoliator. 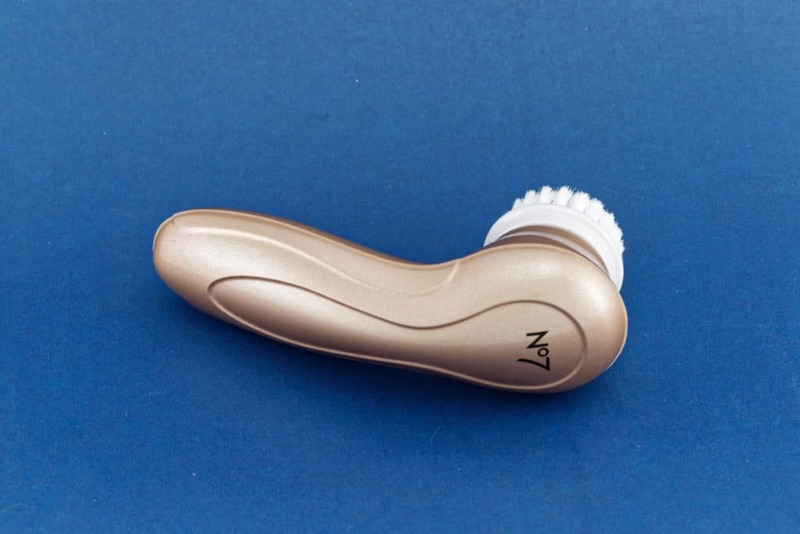 Try using this spin brush and then applying your makeup or your nighttime beauty regime. It will feel completely different. Your skin will feel soft and smooth. I cannot say enough great things about this Hydration Mask! The ingredients that it contains are phenomenal. Glycerin and Cocoa butter combine with emollients to nourish and deeply moisturize the skin. The other moisturizing ingredients are too numerous to name, but rest assured, you will get plenty of hydration from this mask. You can leave it on for three minutes, ten minutes, or apply a thin coat and leave it on overnight. This product is well worth the time. If you are looking for nourishment, I highly recommend this product! Have you used No. 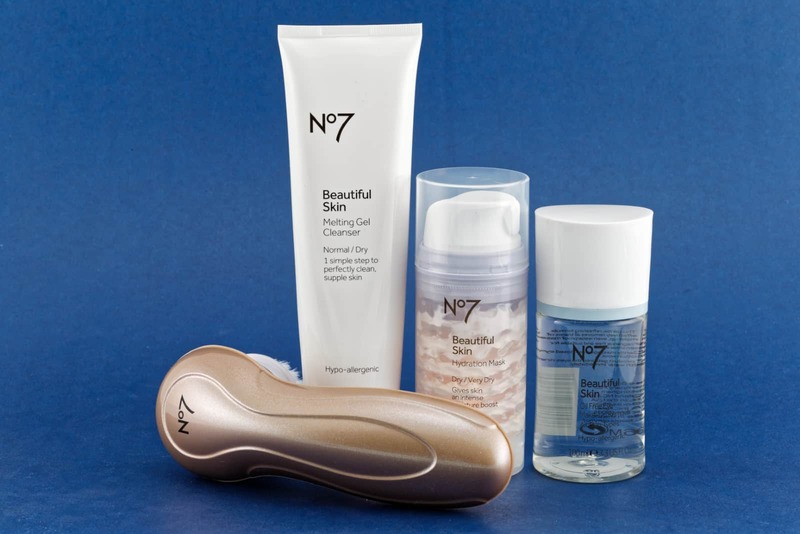 7 products? If so, what was your impression of the product(s)? I’ve always wondered about these products, but haven’t used them! I especially like the sound of the gel cleanser! Thanks for sharing your reviews! I’ve always seen this brand at the store and thought how luxurious it looks. I definitely need to try some of these out. SO helpful – I’ve always seen this brand in Target and never tried! I would love one of those spin brushes. 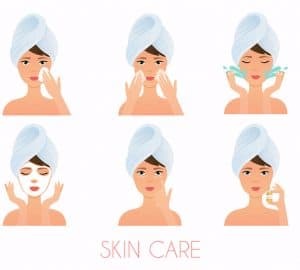 I never tried one, but I’ve seen a lot of people using them and I do believe it can clean your skin better. i’ve always wanted to try these products but i ever actually bought any of it. i want to try that spin brush, i’m always down for a dupe of a clarisonic!